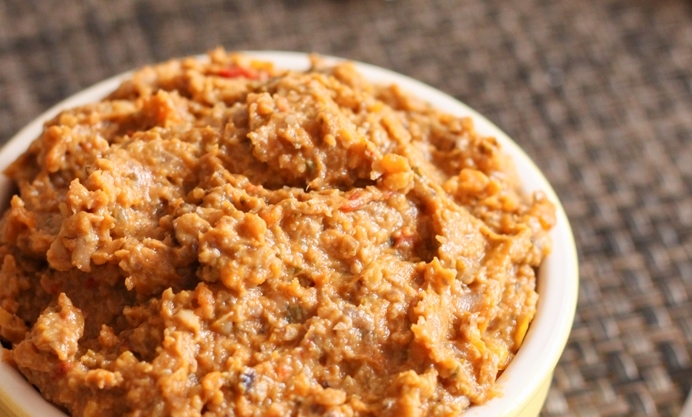 Becca Pusey's roasted vegetable chickpea pâté is quick, healthy, homely and ready to spread on your favourite bread. 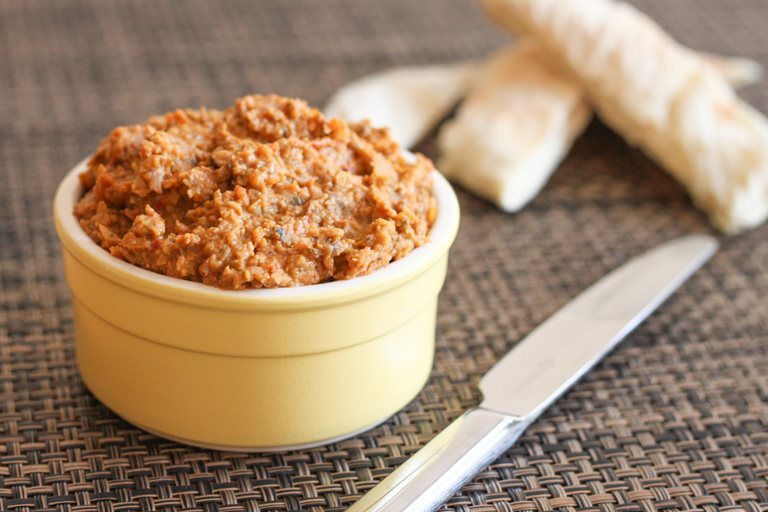 I discovered a while ago that walnuts and chickpeas combine to give a thick and spreadable pâté-like texture, and it's really easy to flavour it however you like. I added the vegetables to the pâté mixture after they’d been roasted, which is my favourite way to prepare vegetables. It really intensifies the flavours, and the crispy bits around the edge become beautifully sweet. Simply whizzed up with the chickpeas and walnuts, they made a wonderful vegan pâté. Rather than needing to roast your vegetables specially, this pâté is a really good way to use up leftover roasted veg. I don’t often have leftovers (they’re so tasty that I usually just keep going until they’re all gone), but on the odd occasion that my eyes are bigger than my stomach, I like to have an interesting way to repurpose them, and this pâté is just the thing.